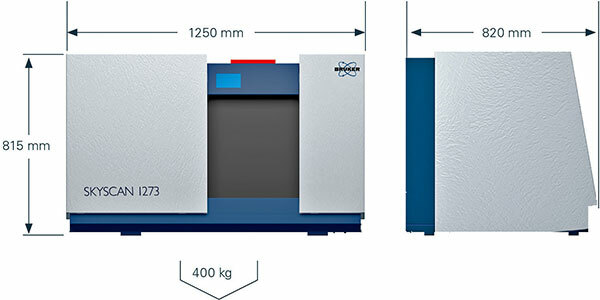 The Bruker SkyScan 1273 is a new micro-CT scanner for samples up to 500 mm length, 300 mm diameter and a maximum weight of 20 kg. This is a new standard for non-destructive testing (NDT) using a benchtop system. Blue Scientific is the official distributor for Bruker Micro-CT in the UK and Nordics (Norway, Sweden, Denmark, Finland, Iceland). For more information or quotes, please get in touch. The Bruker SkyScan 1273 is a benchtop 3D X-ray microscope that uses micro-computed tomography (Micro-CT) technology. It delivers an unmatched level of performance for non-destructive testing (NDT) of larger, weighty objects using a benchtop instrument. Aluminum cast water pump from a car engine. 3072 x 3072 x 1448 pixels; 53 µm isotropic resolution. Until now, this was not possible using a benchtop scanner, and required a larger floor-standing system. There are powerful positioning stages for precisely controlling your sample to get the images and information you need. 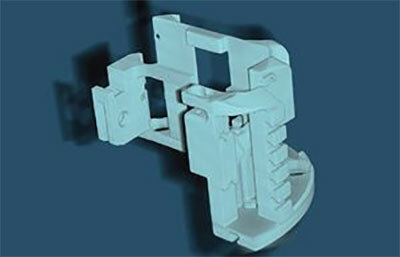 Additive manufactured part (3D print). 3072 x 3072 x 1217 pixels; 34 µm isotropic resolution. High quality images can be acquired in just a few seconds, using a high-energy X-ray source running at high power (130 kV, 39 W) and a large format, sensitive 6-megapixel flat-panel detector. This enables you to generate high resolution 3D images of internal structures with a voxel size smaller than 3 µm. 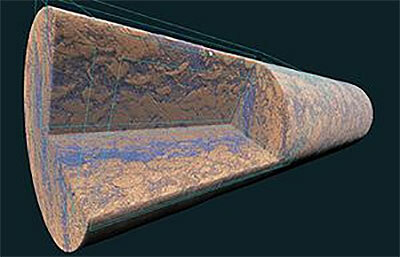 Helical scanning ensures your results are free of distortion, artefacts and blurring. This is even possible for planar structures in all directions. Carbonate drill core (200 mm long ) with a section removed virtually. 3072 x 3072 x 9783 pixels; 13 µm isotropic resolution. 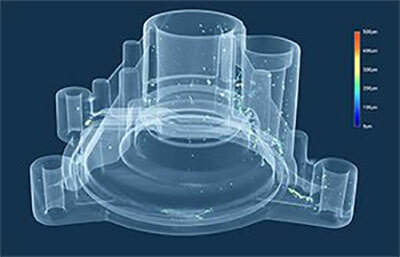 Bruker’s InstaRecon speeds up reconstruction by up to 100 times compared to traditional algorithms – one of the fastest CT reconstruction methods in the world. Software is also included for data collection, image analysis and visualisation – a complete package that’s powerful but also easy to use.